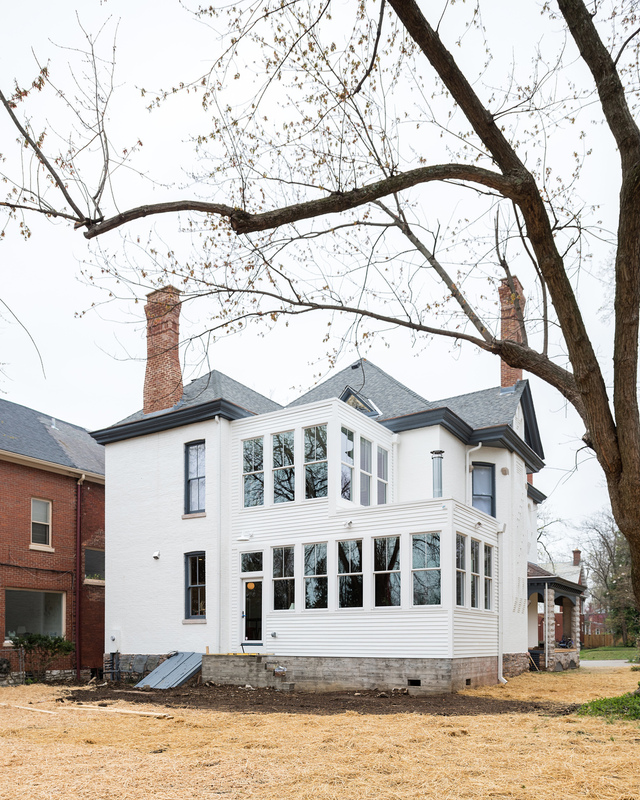 This project is a renovation and addition to an 1890 Richardsonian/Romanesque house in the Fayette Park section of downtownLexington. The renovation re-imagines existing spaces to create new, dynamic moments. 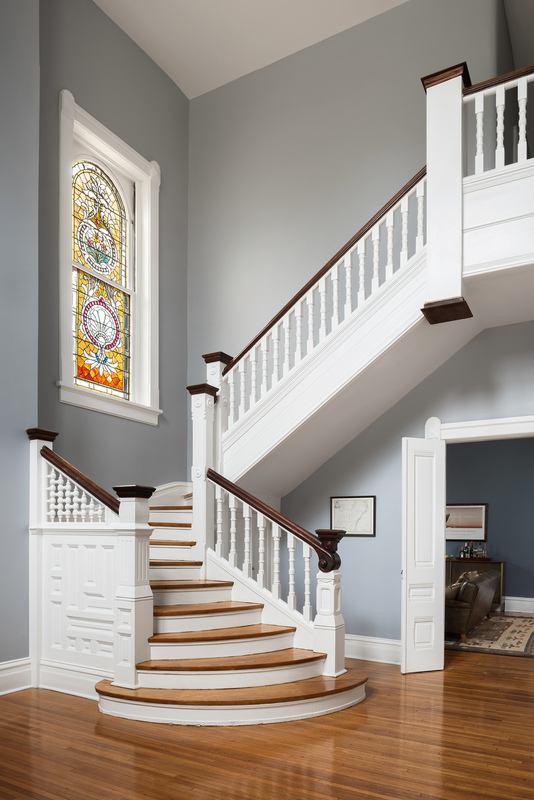 In the entrance hall, the floor and existing bathroom above were removed to create a double height space and dramatic view upon entry. In the rear, an existing exterior brick wall was removed to connect a two-story great room addition to the new kitchen, creating a long linear space in which the family of four can relax together around the hearth and kitchen. The addition references a former sleeping porch in volume but is framed in a modern language with stacked volumes. 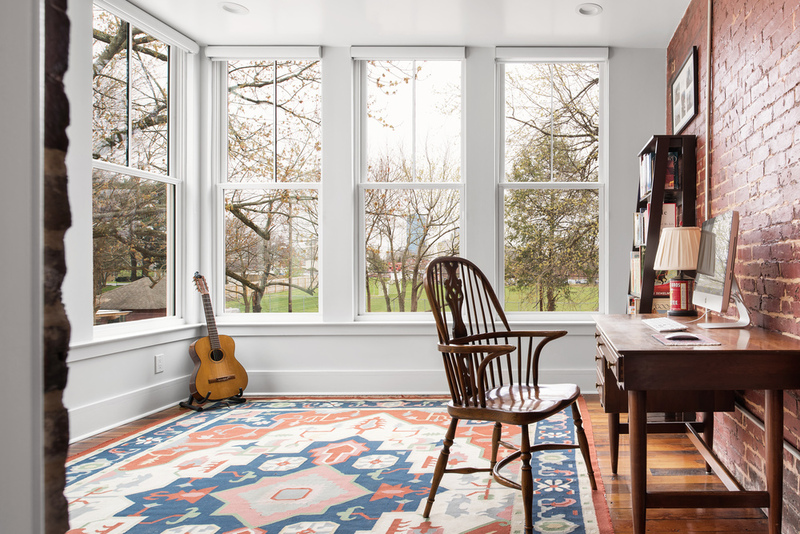 Introducing regulating windows that mirror the scale of the adjacent existing windows sets up a rhythm in the addition that relates to the original house.